Purchase online DB2 Bidirectional Diac in India at low price from DNA Technology, Nashik. The DB2 DIAC is a full-wave or bi-directional semiconductor switch that can be turned on in both forward and reverse polarities. The DIAC gains its name from the contraction of the words Diode Alternating Current. 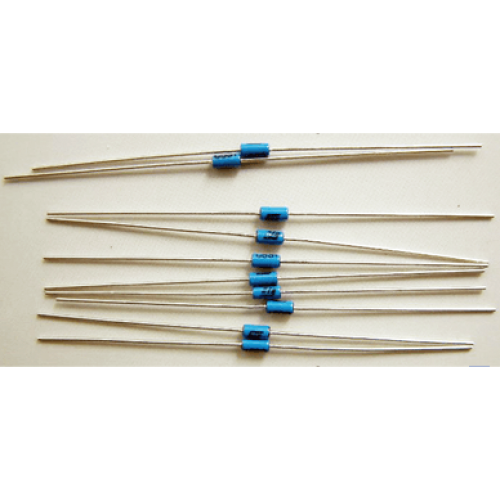 The DIAC is widely used to assist even triggering of a TRIAC when used in AC switches. DB2 is the Full-wave or Bidirectional Diac. DB3 Bidirectional DIACFunctioning as a trigger diode with a fixed voltage reference, the DB3 DIAC&nb..